Previous Post#SonOfAPitch #TeamDiscord Entry 9: Death of a BachelorNext PostWELCOME TO #SONOFAPITCH #TEAMDISCORD! Hi! 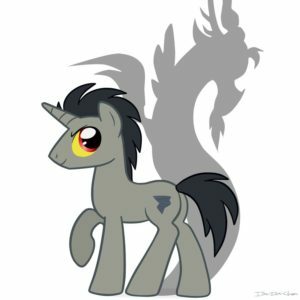 Kathy from #TeamRarity coming by to read and comment. Please remember, these are my opinions only and can be disregarded if they don’t make sense for your ms. This ends as if all the problems will be solved…give me choices and tension, make me need to read it! Give me a big life-changing moment. What drives her? Though, with demons…I am VERY likely to read. Lol! Gotta love demons. It could use a bit more tension. A bit more of the mc’s thoughts. Good description in the middle, could use a bit more at the beginning to set the scene. The creepy guy…could be creepier. I like him there…hints at something going to happen. Like the hint that she likes to be hurt…could even add a little more on that. I like your concept, demons are always cool. Thanks for your input, Kathy! Erin is a cutter. Most days, therapy, meds, and the threat of hospitalization curb the urge to slice her skin with sharp objects<>, but when she gets stressed, she can’t stop her fingernails from piercing her flesh. Having to finish senior year without Adderall is stressful <>. José flirting like he wants to be more than friends makes her skin buzz. A stalker adds anxiety to the mix. She’s on the verge of a breakdown when she realizes her stalker isn’t human. <> She thinks the demon is a hallucination, but it attacks her friends on the beach, and José promises her it’s real. You have that are empty. Are they supposed to be? Thanks in advance for commenting! Having to finish senior year without Adderall is stressful [why does she have to go without Adderall?]. José flirting like he wants to be more than friends makes her skin buzz. A stalker adds anxiety to the mix. She’s on the verge of a breakdown when she realizes her stalker isn’t human [if there’s a creepier and less-blunt way to state this, that would add intrigue. How does she figure out it’s not human? Create an image if you can]. She thinks the demon is a hallucination, but it attacks her friends on the beach, and José promises her it’s real. The cold March air made my lungs burn and my legs itch as I ran, determined to not let my cousin beat me again. This was supposed to be a warm up for our weekly sparring match, but I was sprinting just to keep Mel’s short, muscular form in sight. I glanced over my shoulder. A man was behind me [Take out usages of sensory verbs like saw, heard, felt as much as possible, because they separate us from the character.]. His pale nose peeked out from under the black hoodie that obscured the rest of his face. I hadn’t thought it unusual to see another runner follow us around two turns, but this one had followed me around five. I glanced at my phone. It was dead. Mel was too far ahead to hear me yell, and there was no one else around. I wasn’t exactly defenseless, but I was tired and hadn’t been in a real fight in almost two years. Still, a small part of me hoped the man would catch up and would want to hurt me [I love this, because it’s such a realistic feeling sometimes, and people rarely talk about it]. Here are my revisions. They include a pronoun change I’ve been too chicken to include in earlier drafts. While the name Erin is more common as a female, there are actually a few hundred boys named it in any given year. Erin is non-binary, and in my latest revision of my MS, I’ve tried to bring this to the surface instead of keeping it between and below the lines. Erin is a cutter. Most days, therapy, meds, and the threat of hospitalization curb the urge to slice their skin with sharp objects, but when they get stressed, they can’t stop their fingernails from piercing their flesh. Having to finish senior year without Adderall is stressful. José flirting like he wants to be more than friends makes their skin buzz. A stalker adds anxiety to the mix. They’re on the verge of a breakdown when the stalker corners them in a hallway, pins them with hands literally as cold and white as snow, and licks their cheek with his forked tongue. They thinks he’s a hallucination, but later, he attacks their friends on the beach. After helping Erin fight him off, José promises them it’s real demon. Demons are just the tip of the paranormal iceberg: José is a hunter-in-training, and Erin’s Grandpa is like his Obi-Wan Kenobi. Erin was supposed be a hunter too, but Grandpa feared their ADHD would get them killed. They wants to punch him in the face, but when the demons gain power and start hunting the hunters, Grandpa needs all the help he can get – including Erin’s. A normal person would be terrified, but fighting for their life calms the buzzing that makes Erin crave sharp objects. They’ll either prove that ADHD makes them the most qualified demon-hunter of all, or become demon-food with the rest of the humans. The cold March air made my lungs burn and my legs itch as I sprinted by boarded up beach houses. Mel may have turned our warm-up into a race, but she was not going to win it. Grinning, I ran harder in an attempt to close the space between us. Despite my efforts, her footsteps grew softer and the ones behind me grew louder. I glanced over my shoulder. The man behind me was closer. Steam rose from his pale nose, which peeked out from under the black hoodie. Shadows obscured the rest of his face. I shuddered. It wasn’t unusual to see another runner follow us around two turns, but this one had followed me around five. I sucked icy air into my lungs as I crossed a bridge. The metal grates groaned under my feet and his. Water rushed below, blanketing brown muck with blue, breathing color and life into the field of dead marsh grass. Mel was so far down the windy road that I could barely make out her short, muscular form. I glanced at my phone. It was dead. Mel was too far ahead to hear me yell, and there was no one else around. I wasn’t exactly defenseless, but I was tired and hadn’t been in a real fight in almost two years. Still, a small part of me hoped the man would catch up and would want to hurt me. I imagined myself ducking as he reached out to grab me. I would jam my elbow up into his stomach and crush his face with my knee. Thanks for the query help.